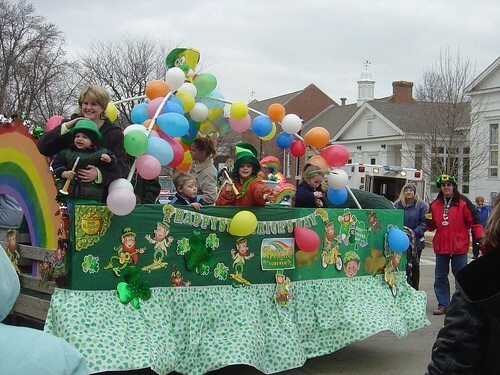 The Village Preservation Association is pleased to announce that Sarah Cousins has been selected as Parade Princess for the 2017 Plainfield Hometown Irish Parade. Sarah is honored to have been chosen as the 2017 Hometown Irish parade princess. 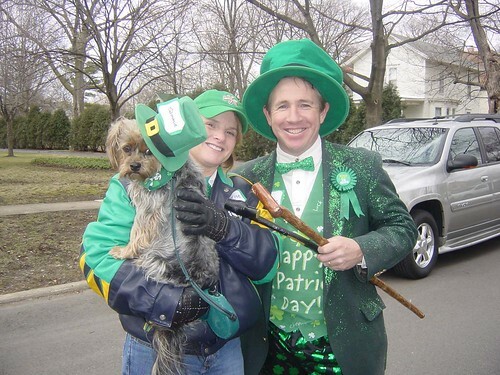 Sarah has been sharing her love for her Irish heritage with the Plainfield community for many years; performing in many local Irish dance shows and fundraisers, St. Baldrick’s events, as well as 10 years of dancing in the Hometown Parade. 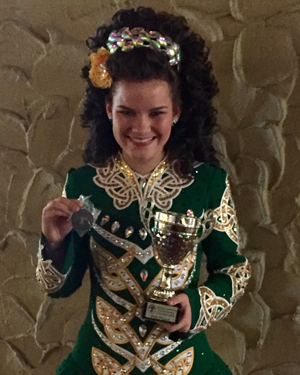 Sarah is a Champion level Irish dancer. 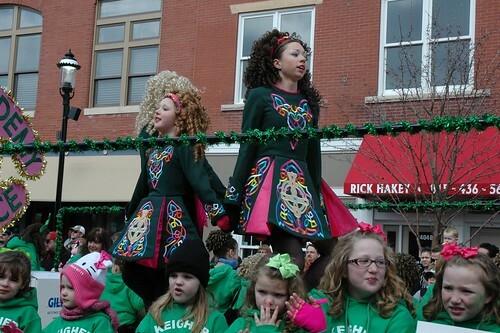 She has trained at Keigher Academy of Irish Dance for the past 10 years. Sarah had the amazing opportunity to expand her knowledge of her culture during the summer of 2015 when she visited Ireland. In Ireland Sarah was able to show off her dance skills at a pub in Dublin where she gave a shout out to her hometown, Plainfield IL. Sarah is an active member of her school and community. Sarah maintains an “A” average as a high honor roll student at Plainfield North High School. 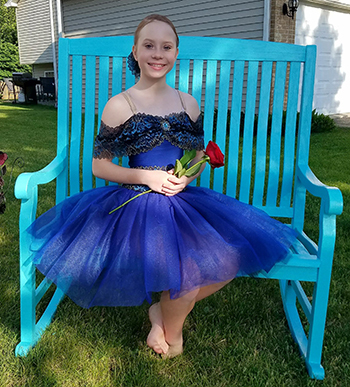 She also makes time for many clubs at Plainfield North, as well as, being a member of the Plainfield Juniorettes. It is through the Juniorettes that Sarah has proudly helped the local police department with their Shop with a Cop event. The Juniorettes has also provided her the opportunity to spend time with our elderly community members at Lakewood Nursing and Rehab Center here in Plainfield. She especially enjoys this service as she prepares for a future career in nursing. Sarah thanks the parade committee for recognizing her talents and commitment to her Irish heritage and this great community. 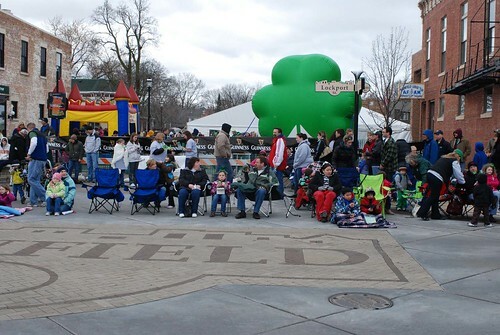 The 2019 Plainfield Irish Parade is accepting sponsors now. 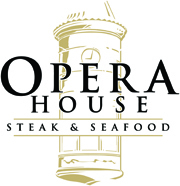 CLICK HERE to visit the “Become a Sponsor” page for more information. Friends Message: In memory of Rich Purcell. 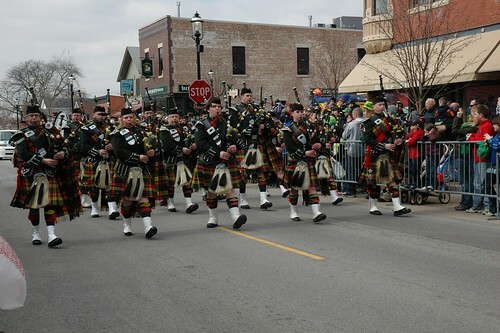 Always thinking of you during the parade! 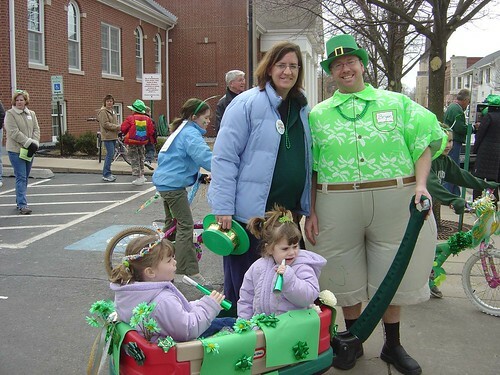 Want to Become a Friend of the Parade?